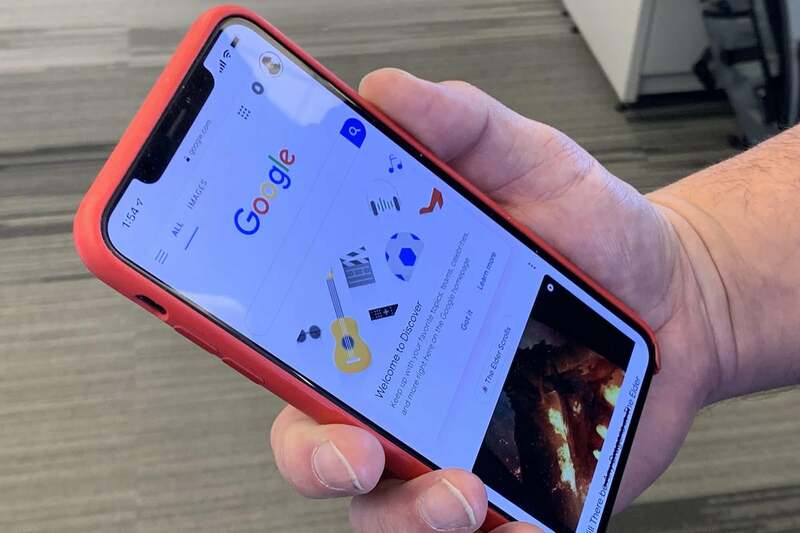 Employee apps and betas no longer work on iPhones at Facebook or Google. When Apple says it takes privacy seriously, it means business. On Wednesday, the Cupertino company prevented Facebook from using its enterprise certificates after word got out that Facebook had more or less reskinned a voluntary user data collection app Apple had previously banned. Now, as The Verge reports, Apple has done the same with Google’s certificates following Google’s admission that it had been gathering data much like Facebook through its own Screenwise Meter app. "We’re working with Apple to fix a temporary disruption to some of our corporate iOS apps, which we expect will be resolved soon." BuzzFeed's John Paczkowski reported on Twitter that Apple had released a similar statement: "We are working together with Google to help them reinstate their enterprise certificates very quickly." And there's reason to believe that really is the case. 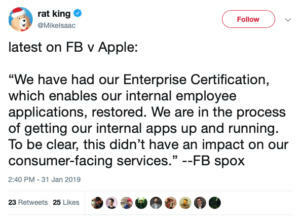 A few minutes later Facebook gave a statement to Mike Isaac of The New York Times stating that Apple had restored its certificates. If Apple can work past its issues with Facebook so quickly, then Google's certificates could be restored as early as today or tomorrow. These blocks are bold; a flexing of muscle on Apple's part. Indeed, they created a degree of mayhem at both Google and Facebook, as employee iPhone apps for everything from securing transportation to ordering lunch stopped working. These types of apps, after all, are the main reason why Apple’s enterprise certificates exist. In addition, though, the removal of enterprise certificates means that in-development versions of apps like Google Maps and Gmail no longer work. But on the other hand, Google made no such move until TechCrunch—which also broke the news about Facebook’s violations—reported that Screenwise Meter was also collecting data with enterprise certificates in a way Apple never intended. The current controversy began on Monday when TechCrunch reported that Facebook’s "Facebook Research" app granted the company root access to the iPhones of participants. Importantly, Facebook was inviting users who weren't Facebook employees to participate, which Apple saw as a violation of its policies. In fact, Facebook had been using the app since 2016, and it was paying participants between the age of 13 and 35 up to $20 a month (along with referral fees) for a deep look into how they were using their phones. Apple had previously banned Facebook’s Onovo Protect app in June for doing much the same thing and removed the app in August. This story, "Apple blocks Google from using enterprise certificates a day after blocking Facebook" was originally published by Macworld.